A popular speed testing company, Ookla, has released Speedtest Global Index for November 2017. According to the index, Pakistan is ranked at 89th in the mobile internet network and 126th in the fixed broadband internet network speeds. Surprisingly, India was ranked at 109th against Pakistan’s 89th making it 20 positions behind Pakistan in mobile internet speeds category. However, that is to be expected considering India’s large area and limited 3G/4G coverage. 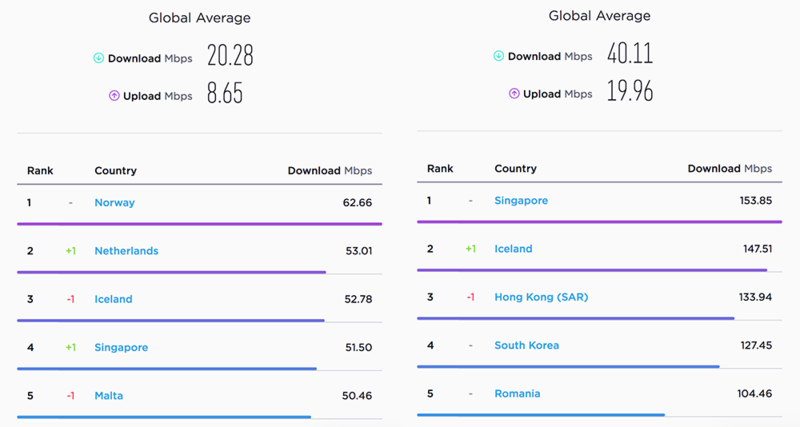 According to the index, which displayed the average internet speeds from around the globe, Norway has the fastest mobile internet speeds with an average speed of 62.66 Mbps while Singapore has the fastest broadband internet services, with an average speed of 153.85 Mbps. Pakistan has the mobile internet speed of 13.08 Mbps which dragged the country’s position three levels down from last year’s index. 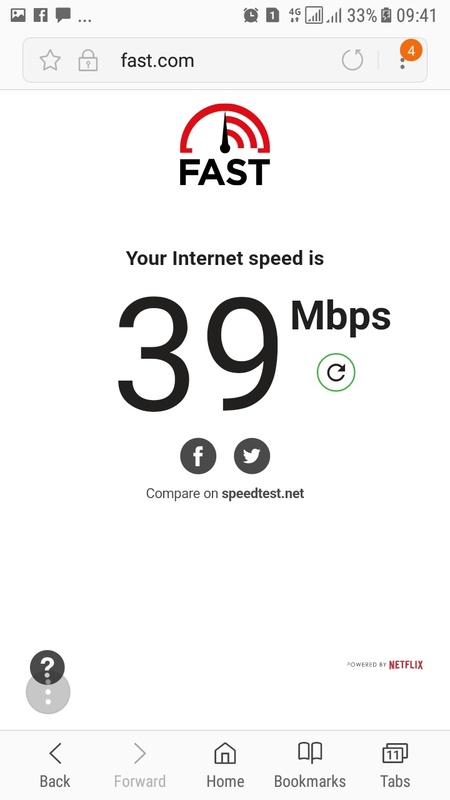 On the other hand, Pakistan has the broadband internet speed of 6.13 Mbps which makes it an eighth-last country (126th position), behind Nigeria, Palestine, Uganda, Iraq, and Syria, in the fixed broadband speeds list. 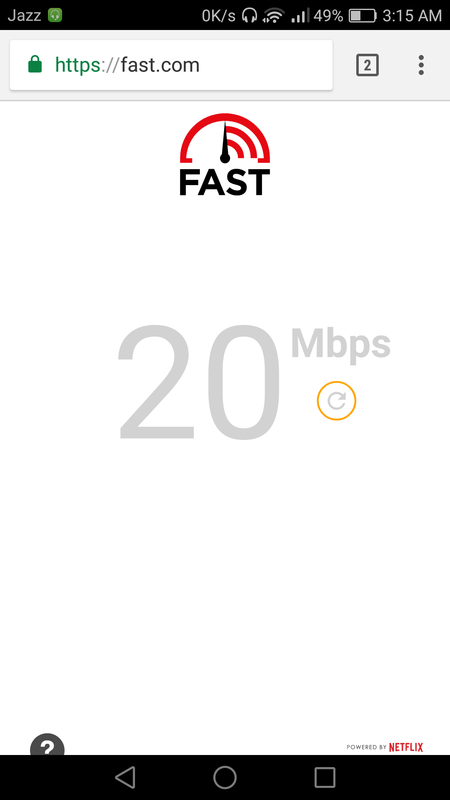 According to the list, the average mobile internet speed of our neighboring countries, including China, India, Afghanistan, and Iran, is 31.22 Mbps, 8.80 Mbps, 7.13 Mbps, and 16.74 Mbps, respectively. In the fixed broadband category, China, India, and Iran averaged 61.24 Mbps, 18.82 Mbps, 10.28 Mbps, respectively. Internet speed has seen an enormous growth across the globe during the past few years. Pakistan is also a part of this improvement thanks to the implementation of advanced technologies and the launch of 3G and 4G internet services in the country. Currently, three-quarters of Pakistani population has access to broadband internet services. To make the internet experience more smooth, the Ministry of Information Technology and Telecommunications has also deployed 91,000 km of fiber optic in Pakistan. Pakistan is let down by the lack of fast 4G mobile networks and copper-based fixed broadband networks. Induction of faster 4G standards and FTTH networks could boost average internet speeds and improve the user experience for the public. Zong has consistently higher speeds across major cities. PTCL is too unreliable. If it rains you can’t use the internet, how stupid is that. PTCL To Nahi Hai Na ? Well when Govt come to their senses and put the tax accordingly, when they put the Tax 50% for high speed connection, Pakistan will remain in the same position forever. What is the problem here? 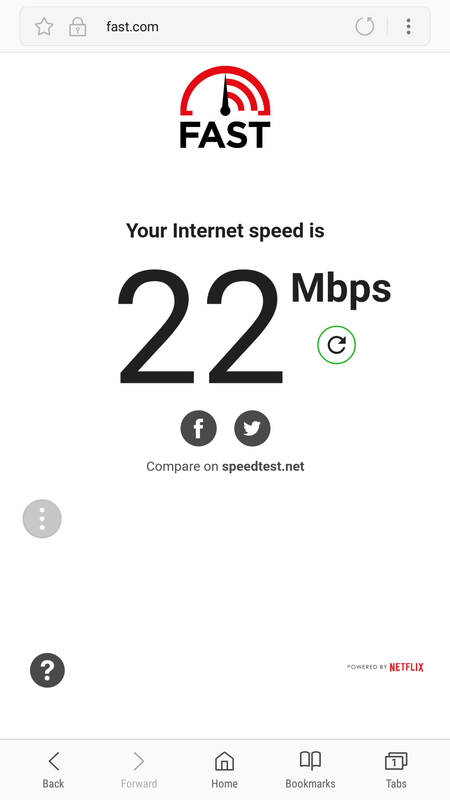 Is PTCL not providing me the 2Mbps when I’m downloading or is there any error ? FTTH nai kiya Pat liya hay maximum 10 se 14 MBPs aati hay or rates asmano per. Admin bro you buy hosting for this website from which company??? ?